Congestive heart failure (CHF) affects a large and growing subset of Americans: an estimated 5.7 million adults suffer from CHF and the number is projected to substantially increase in the coming decades. For patients with heart failure, their health and ability to do daily activities can rapidly decline after diagnosis. At a societal level, this leads to an economic cost of $32 billion annually for US treatment costs and lost productivity. Prevalence of CHF will significantly increase by 2030. CHF disproportionately affects blacks, who experience higher risk of heart failure, more disability associated with diagnosis, and shorter life expectancy. Innovation that eliminates CHF would not only create significant economic value but would also narrow the differences in average life expectancy between black and white American adults. Findings from the model show that among 65 to 70 year olds, the prevalence of CHF will almost double in the coming decades, from 4.3 percent in 2010 to 8.5 percent in 2030. The authors note these new estimates are somewhat higher than previous estimates because the model not only incorporates known demographic trends but also the effects of trends in underlying risk factors, such as obesity, which are also increasing. This has significant implications for the healthcare system, given the impact heart failure has on costs and quality of life. Analysis of the data found that, prior to their diagnosis, patients who will develop CHF are already somewhat sicker than those that won’t—they have higher rates of other serious medical conditions and medical expenditures. Yet, the researchers found diagnosis of CHF corresponded with significant increases in rates of disability and medical expenditures. For example, the percent of the population with CHF reporting limitations in 3 more basic daily activities (such as dressing, bathing, or walking across the room) almost doubled, from 9.6 percent before diagnosis to 17.4 percent after diagnosis. Comparing medical expenditures of patients with heart failure to those without shows a similar pattern: Prior to diagnosis, the subpopulation that will develop CHF has average medical expenditures about 29 percent higher than the subpopulation who will not develop CHF; after diagnosis, that difference rises to 54 percent. 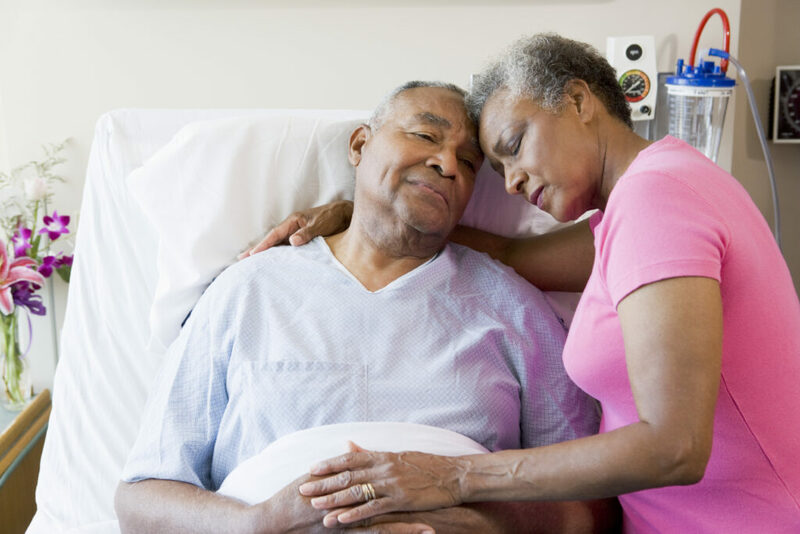 When analyzing the data by race and gender, the researchers found startling differences in how heart failure affects black male and female patients compared to their white counterparts. The researchers analyzed the effect a diagnosis of heart failure had on disability status, finding it exacerbates disparities: prior to diagnosis, black and white men and white women report similar levels of disability, while black women report greater disability. But after diagnosis, black men experienced the largest increase in disability among the four groups, resulting in greater disability among both black men and black women compared to their white counterparts. The study authors modeled hypothetical scenarios that eliminated 7 conditions, including CHF. Eliminating heart failure increased average life expectancy among affected patients by 1.92 years overall—only eliminating diabetes, lung disease, and cancer would produce larger gains. Furthermore, eliminating heart failure would produce the largest life expectancy gains black males and females (2.1 and 2.2 years respectively). All told, the researchers estimate the population health benefits of an innovation that eliminates heart failure to range from $210 to $420 billion. As policymakers grapple with how to balance investments given current trends in aging and chronic disease, better treatment for heart failure is one example of a potential investment that could not only significantly increase quality of life and life expectancy for patients, but also reduce disparities. Van Nuys, K. E., Xie, Z., Tysinger, B., Hlatky, M. A., & Goldman, D. P. (2018). Innovation in Heart Failure Treatment: Life Expectancy, Disability, and Health Disparities. JACC: Heart Failure.